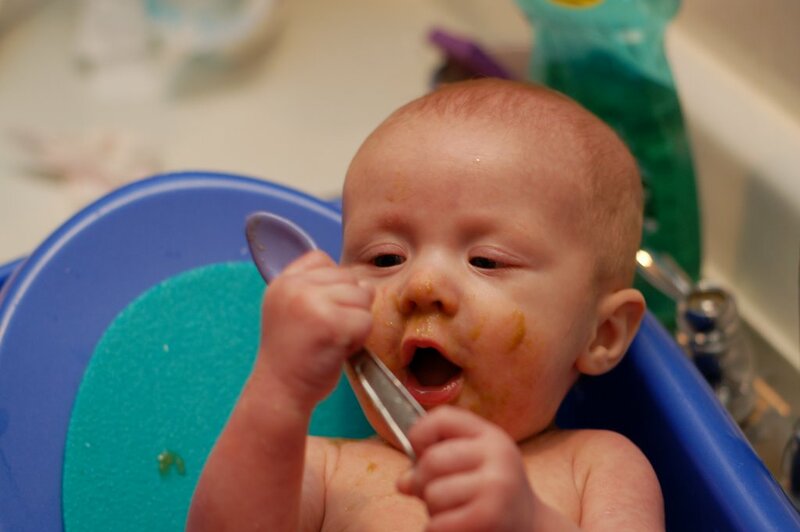 Dylan loves his food when he is in the tub having his bath. 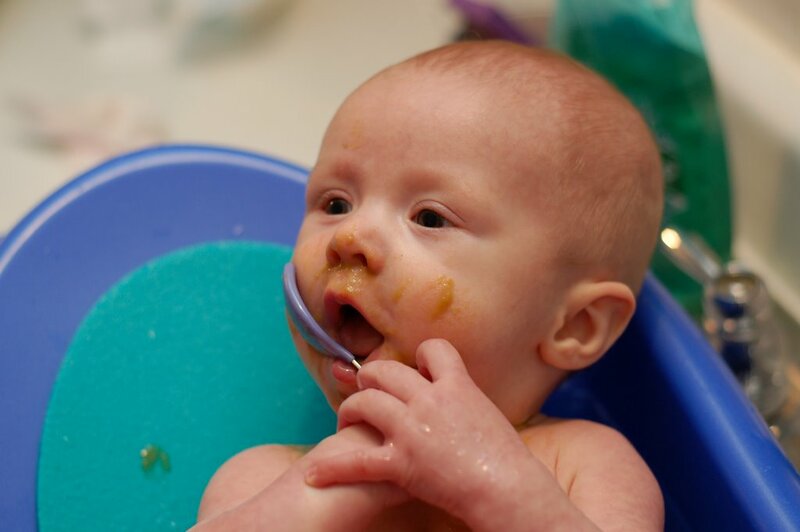 Sometimes he won't eat something but then when he is having his bath, he'll gobble it right up! 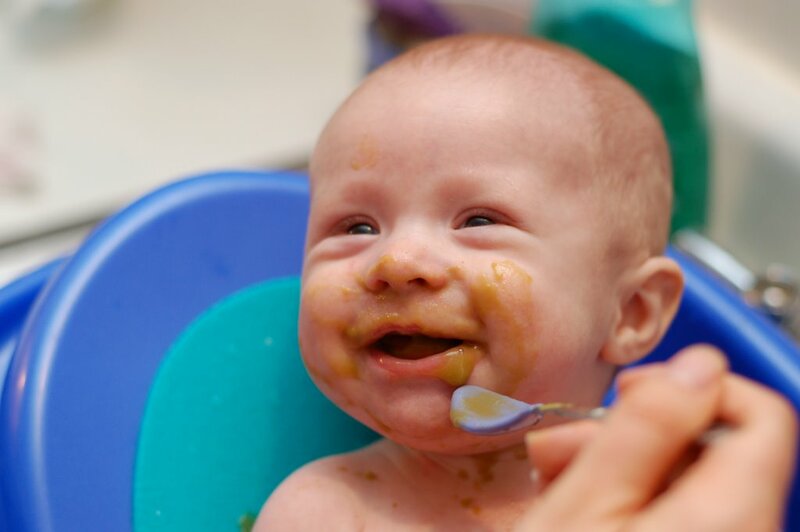 He's had a couple green vegetables and some sweet potatoes, and apple sauce is next on the list. Today (Sunday) Briana had to work, so me (Ryan) and Dilly went to church to the early service. Dylan "played" in the nursery for an hour, then I took him home and he has been napping for 3 hours! Little sleeping champ. But he had a crappy night last night (became overtired, screamed for 2 hours, then nursed off and on all night).